anyone who wants to learn how to to move, explore, realise and thrive! Tracy has a keen interest in treating (due to plenty of personal experience!) posture-affected dysfunction, especially breathing difficulties, thoracic conditions (eg. scoliosis, desk-bound workers). Also interested in jaw pain, TMJ dysfunction, associated neck pain and headaches; pelvic and core instabilities; lymphatic drainage and lymphoedema management. Tracy draws on personal experience in Yoga, Pilates, and Tai Chi to help clients increase awareness of their own body and the way it moves; and give them ownership of their condition and rehabilitation. 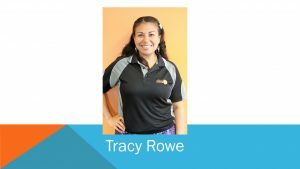 Tracy is most interested in helping people achieve or restore optimal functional movement so they can enjoy living in their own bodies! Tracy is a Principal Therapist, available from the Deakin and Woden Clinic 88 locations.